Hockey India League 2017: Who will make it to semi-finals? The 2017 Hockey India League is steadily moving towards its business end and time is running out for those who are languishing in the bottom half of the points table. Uttar Pradesh Wizards, who are bottom of the table, salvaged a 2-2 draw against Kalinga Lancers to stay in the hunt for a top four spot. The VR Raghunath-led side still has five league games remaining but will need to win four out of those to ensure qualification, something that could turn out to be quite difficult. Kalinga Lancers, on the other hand, need just one win out of their remaining two games to make it to the final four. Interestingly, even if they do not lose the remaining two matches, they will have a good chance of qualifying. Playing against Uttar Pradesh Wizards, Kalinga Lancers had a really pragmatic approach during yesterday’s match and decided to sit deep and play out from the back. It almost secured a semi-final spot but a last minute lapse prevented Lancers from winning. Without any shadow of a doubt, Dabang Mumbai will be the first team to qualify for the semi-finals of 2017 Hockey India League, barring a royal slip up and sudden dip in form. They have played superb hockey and took full advantage of the home leg. Florian Fuchs, Harmanpreet Singh and Affan Yousuf have starred for the men from Maharashtra, scoring goals in bulk. Sitting pretty on top of the table with 23 points and one game in hand over second placed Kalinga Lancers, Dabang Mumbai have three matches remaining. They play Jaypee Punjab Warriors, Delhi Waveriders and Uttar Pradesh Wizards to finish their league season. Even if they two of these games and lose one, Dabang Mumbai should secure a spot in the top four. However, all three matches are away from home and against teams that will be fighting for survival, something Dabang Mumbai will need to look into. 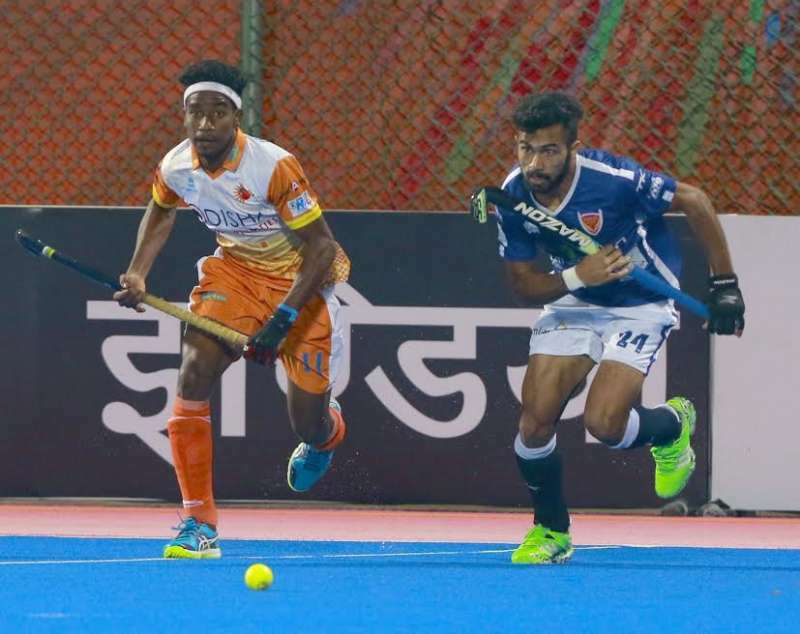 Kalinga Lancers have been the most entertaining side in HIL 2017, playing a brand of high-octane and risky hockey, which has come good on most occasions. Riding on the experience of Mortiz Fuerste, Billy Bakker and Glenn Turner, Lancers have put one leg inside the top four spot and need just one win from their remaining two games. Kalinga Lancers showed a different side to them in the contest against Uttar Pradesh Wizards, playing conservative hockey to dish out a result, and it almost worked. They play Delhi Waveriders in a game they would like to believe is absolutely within their radar to produce the requisite result. If they do not manage to get the desired result against Waveriders, Lancers will have a tricky fixture against defending champions Jaypee Punjab Warriors. Though Kalinga Lancers are not assured of qualifcation till now, they should be able to sail through, given their form and momentum. More than halfway through the tournament, things are set up beautifully for a cracking finish to the league stage and all teams are in the fray to make it to the top four. While Dabang Mumbai and Kalinga Lancers are most likely to occupy two of the four available semi-final slots, the other two places are up for grabs and it could be any of the other four sides. 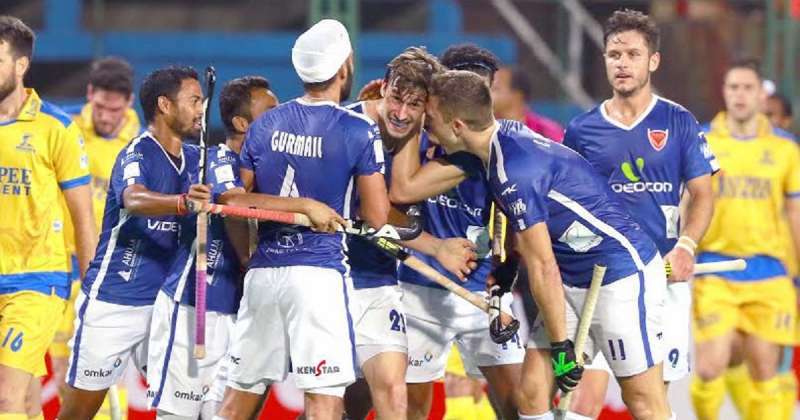 Hockey Pro League vs Series Finals: How will FIH's new ranking points affect India?